How to bootstrap your app marketing: 100,000 downloads in 24 hours. Mobile app stores are so saturated that trying to get noticed, even for great apps, is becoming increasingly difficult and expensive. How an indie dev or just a poor man budget should approach it? Let me share my story on how we are trying to hit 100,000 downloads in 24 hours with a start-up budget. It has paid off. When you step into the game, you will notice that chivalry is the norm. The first problem when marketing anything, is that you need a good product. Without it, you simply need a miracle for your campaign to succeed. I think we are good to go in here. Dogfight is free, it is also pretty simple and that’s probably part of the charm. You don’t have fire-and-forget missiles nor power-shields, it is just you and your skills as a pilot. Your gun and your plane versus the whole world out there. The community has also evolved into a life of its own. Pilots set up schedules to meet in air, patrol to help new comers and work together as squadrons. It all translates into great game play and great app store reviews. 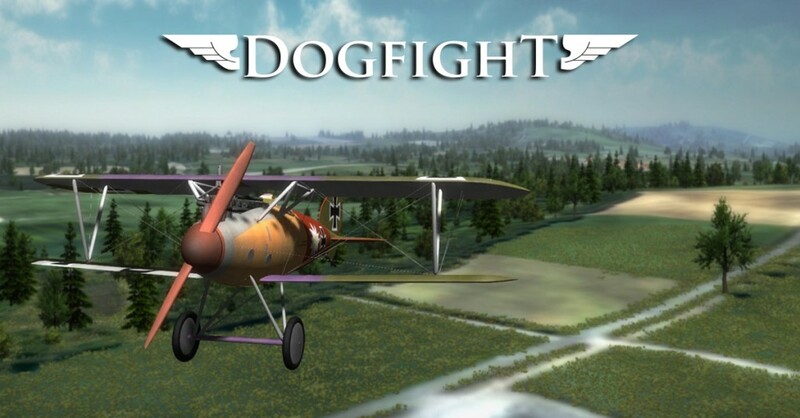 Dogfight has a rating of 4 to 5 stars on average of the thousands of reviews on any of the stores where the game is available and the game keeps growing at a steady pace. First, as a free app, Dogfight requires millions of players who can either see the ads or make in-app purchases. The percentage of players who click on ads or buy is so small, that unless you have thousands of new players joining in daily, it is not economically viable or a sustainable business. Secondly, any app store is so saturated with hundredths of thousands of apps that the chance of finding yours among the others is very small. If you noticed above, I said the game is played by a few million players. Even then, which such vast amount of mobile users and apps, the chances you’ve heard of Dogfight before today are slim and the game is barely ranked 250 to 300 in the Games/Action and Games/Simulation section. It doesn’t take long to realize that you either have a marketing budget or you and your app are probably toasted in no time. To summarize a few years of personal marketing blunders and miscalculations, you need to find a medium that will create enough exposure at a cost that is less than the revenue provided. Or in other words: don’t spend more than you bring in. This basic concept has become increasingly difficult to achieve. With such high demand to get your app noticed, publishers, PR agencies and “mobile media optimizers” have flourished, but most follow the simple motto that they pay the user or an intermediary, money to download your app. But how much does it cost to get highly noticed? I’ve contacted many “optimizers” during the past year, the numbers varies from country, category and period of time such as national holidays or vacations. But a few “guaranteed” your position in the top 25 in games category with about 25,000 daily downloads and at a cost of about $150,000 for a 3 to 4 days campaign, and afterwards you have no guarantee your game will stay there. Unless by some random capricious event such as Apple or Google deciding to promote your game as an editor’s pick, you are going to have to drop big bucks to be able to get a spot on the featured list. That list therefore, must and will be dominated by big players who can afford such an incredible amount of money. Indie devs chances? One in a million. (or when Apple or Google decide to hand pick you). If you are an indie dev or, like me, live in a country where $150k represents your marketing budget for half a decade, you have to figure out a better way. My budget as a start-up is $10,000. There are a few things I can’t work around. There is no way around the store ranking system, which is based on number of positive reviews and daily downloads. I cannot work around the fact that I will need to achieve an incredible amount of downloads per day. I cannot work around the other fact that many people will be competing to achieve what I’m trying to achieve. But, I can try to achieve those downloads at a lower cost. How? – Have a great product: It is ridiculously obvious but if you don’t have a good product, your marketing campaign will come and go up in smoke. You don’t need thousands of downloads to find out whether your app is good. Is your app constantly used outside of your close circle of friends and do you get genuine good reviews? Then you have it. You should see the emails I receive every time I shut down Dogfight’s servers for maintenance. That inbox spike is like an adrenaline shot to have it all back up and running again. – Ask for help from the people that will benefit the most: In my case, it is Dogfight’s community. They will gain most from the game popularity with no cost on their part. They will be able to grow their squadrons, get better support, get the updates they’ve been waiting for months and at the same time know that they helped you succeed. Don’t underestimate people’s willingness to help others when in need. But don’t limit yourself to your direct customers. For instance, why don’t also approach manufacturers of diecast models, history book publishers, or WWI museums? Does your app utilizes a cloud service? Talk to them. Do you use a web hosting? Talk to them. Can you find more players in your industry or peripheral industries that would benefit from your success? They may be willing to help you out with marketing and/or economically. – Generate marketing material and press releases: Getting your app into one of the big media sites like TechCrunch or Bloomberg will bring tons of downloads. The main thing to remember here is that they get bombarded with crappy press releases trying to promote their product so you have to provide a compelling story and added value over whatever everybody else is sending them. Agencies that write up press releases are very affordable and could be great value. You will have to make sure your marketing material such as graphics and videos are the best they can be and go over the text to make sure it shares a compelling story. Nobody will share a PR that reads like an ad about your product. – Be smart with online ads: Online ads are expensive. Very expensive. Don’t wait for the last day to place all your ad budget into a campaign and hit run, you will be surprised how fast your money runs out with almost no impact. My suggestion is to place a small test amount during a few days so that you can analyze your target group. You will find out that certain keywords and images are more effective than others, that random and unexpected geographical locations or age groups are more willing to click your ads than others. After a few days it is no uncommon to lower your cost per install from $1 to $0.3. Multiply that and you just got 3 times more downloads on your campaign thanks to having a little preparation ahead of time. – Time it to perfection: One of the biggest mistakes I’ve seen when marketing apps is the lack of coordination between different aspects of the campaign. If you are looking to be on the top of the app store, you need to get all media attention in 24-48 hours. You cannot get a PR out today, online ads 3 days later and a video the next week. If your downloads are spread out many days, your campaign will have little to no impact in your store ranking. Unfortunately, it is not a myth that you need a big budget to effectively promote your game. As in any competitive market, costs of promotions go up, differentiation decrease and margins collapse. The more money you have to place your product in front of your final customer, the better your chances for success. Most mobile advertisers are taking advantage of the situation and overcharging for their services. On the other hand, a hands-on approach to advertising through iAds, Facebook, Google and such, will significantly reduce the costs. Having a great product, planning your marketing campaign in advance and spending a little time to try to understand your market segment will go a long way towards reducing your marketing bill. But most importantly, do not forget that your most important marketing resource is your existing customer base. Cherish them because they hold the key to your success. If you liked this post, you should see the game!